1970's era United Garment Workers of America BUY AMERICAN AFL-CIO promotional pinback. 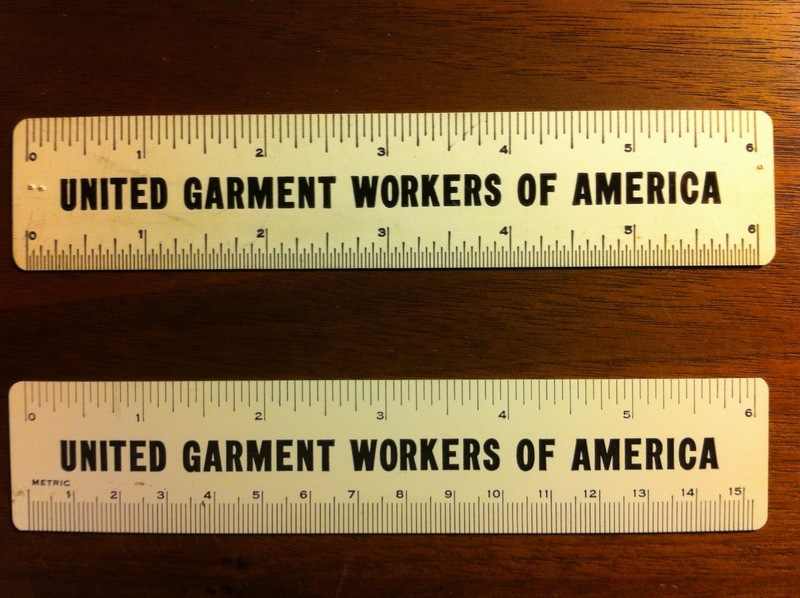 1960's-1970's era United Garment Workers of America BUY AMERICAN UNION LABEL GOODS AND SERVICES promotional rulers. 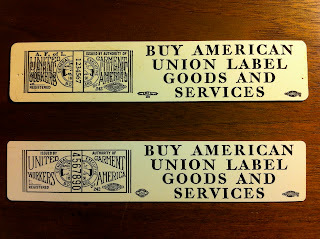 Note the difference in the union stamp to lower right of the different UGWA label logos. 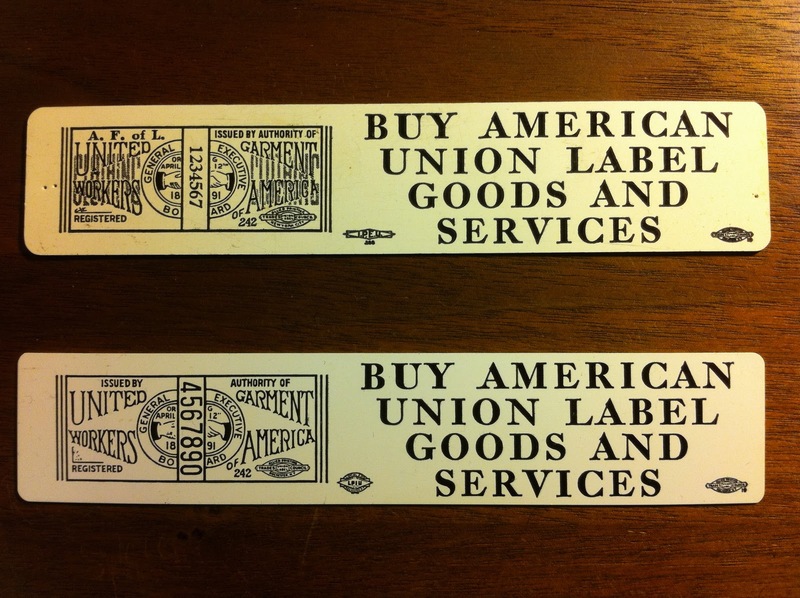 Allied Printing Trades Council Union Label appears in lower right corner of both rulers. 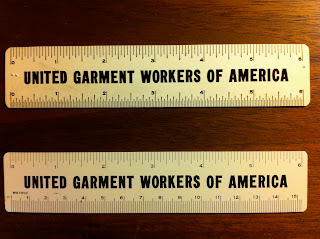 Backside of United Garment Workers of America promotional rulers. Thank you for this post! 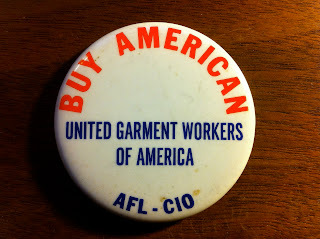 My grandmother (who passed away a little more than 2 years ago) was a member of this union. She had the top ruler in the pictures you have here. I took some pictures of her ruler a few weeks ago (and found your blog when trying to research how old this item might be) - http://www.flickr.com/photos/varmazis/5759339375/ & http://www.flickr.com/photos/varmazis/5759883322/ -- she definitely got a lot of use out of this ruler!